I think the staff has fallen in love with the Dessert Girl! We're getting happy and fat eating Helvetica and other typeface munchies . . .
Dessert Girl is the lunatic queen of sugar addicts and she's assembled this wonderful page of cookies, cakes and munchables all built around type and typography. We're still waiting on our Helvetica cookie cutters. See Wow -- Helvetica cookie cutters! Wishing death upon the putrid house of Comic Sans, font of the peasants and the distasteful, is an art taken to by pretentious typography adoring fans with the same kind of fervency a graphic design student may stray from the mainstream and proudly reject the universally popular and practically clean Helvetica as far too typical for their typographically educated palette. Bernard Maisner is a master calligrapher and stationer with an international reputation. His craft is hired mostly by high-profile society events and special occasions. With more than 30 years experience, Maisner's custom calligraphy is instantly recognizable with works for VOGUE. Bernard Maisner graduated from The Cooper Union College of Art in New York City. He is regarded as a prominent medieval scholar and expert in the art of medieval manuscript gold illumination techniques and a historian of letterforms. He has lectured and taught at the Pierpont Morgan Library, The Cloisters Museum, The Metropolitan Museum of Art, and the Getty Museum. 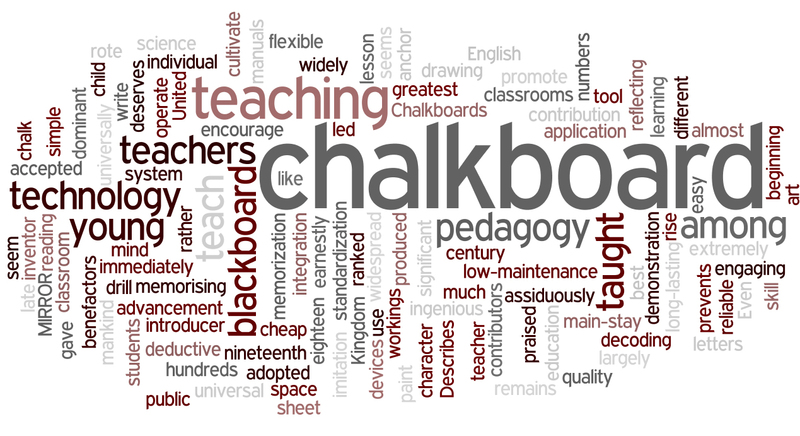 It was Josiah F. Bumstead who first declared in his 1841 essay, The Blackboard in the Primary Schools, that the chalkboard is a groundbreaking technological invention (Krause, 2000). See interesting type montage of "chalkboard"
Don't forget to check out our Chalkboard gallery!